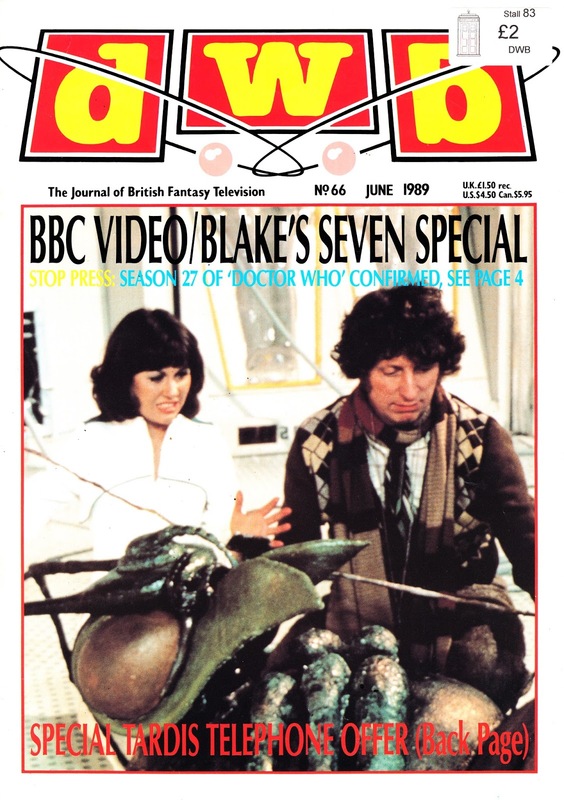 From June 1989: Another scanned-at-random (sometimes its whatever happens to be at the top of the box) issue of DWB (number 66). Clearly, in the intervening months since the last issue I posted, they'd finally switched from one-colour to full-colour covers... and the results look pretty classy. Their new, expanded, remit also allowed for welcome coverage of the BBC's initial (and fairly tentative... a full release of all 52 episodes followed a few years later) flurry of BLAKE'S SEVEN tapes.